The lifestyles of the rich and famous are anything but ordinary. With celebrities being used to a certain level of pampering, it's easy to get swept up in a world of easy-going luxury, right? That's why, when things don't necessarily go their way, A-listers can pull the fame card — a last-ditch effort at getting preferential treatment. The most shocking part? It sometimes works. Perhaps it's the fault of our society, which has seemingly put Hollywood's elite on a pedestal of power. As Andrew Wallenstein, a deputy editor at The Hollywood Reporter told ABC News, "There is something odd about American culture and our preoccupation with [celebrities], which seems to know no bounds." So, does this concerning lack of morality have an impact on more serious criminal offenses? Alan Dershowitz, once part of O.J. Simpson's defense team and now a Harvard law professor certainly thinks it does. In an interview for the ABC News/Yahoo series, Newsmakers, he notes, "Every celebrity case I've been involved in — I've been involved in a great many — the one thing you can be sure of is they don't get the same justice as everybody else." In other words: Celebs know how to use their status to cheat the system. Read on to find out which stars have waved a Celebrity Get Out of Jail Free card to get out of some hairy situations. How many chances does Chris Brown get? 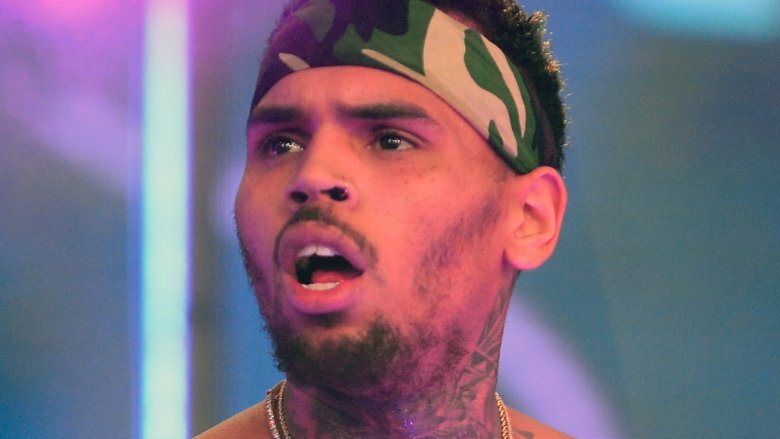 Chris Brown definitely has a temper and a history of abuse. His most high-profile offense happened in February of 2009 when he assaulted his then-girlfriend, Rihanna while driving in Los Angeles. According to a detective's report (via People), the couple was arguing over texts Brown received from another woman. Brown then attacked Rihanna, punching her repeatedly in the face, biting her, and even threatening to kill her. As the situation escalated, a witness called 911. According to People, in exchange for a guilty plea with felony assault, Brown avoided jail time. He was only sentenced to five years probation and 180 days of community labor, with the completion of domestic violence classes and some fines. His attorney said that Brown wants to "make sure that the message gets out that these kinds of things, of domestic violence, are not acceptable." Clearly, he had difficulty getting the message out, since only a few years later in 2013, the "Kiss Kiss" crooner allegedly assaulted another victim. This time, he was taking photos with a female fan in Washington when another fan tried hopping into the frame. According to a police report obtained by CNN, Brown announced he felt "like boxing," before proceeding to punch the man in the face. Considering he was still on probation from his previous assault, we wonder how his felony assault charge got reduced yet again to a simple assault misdemeanor. During a September 2006 traffic stop, Paris Hilton failed a sobriety test. According to Today, she pleaded no contest, and "was sentenced to 36 months probation, alcohol education, and $1,500 in fines." To make matters worse, only months after this incident, she got pulled over two more times! 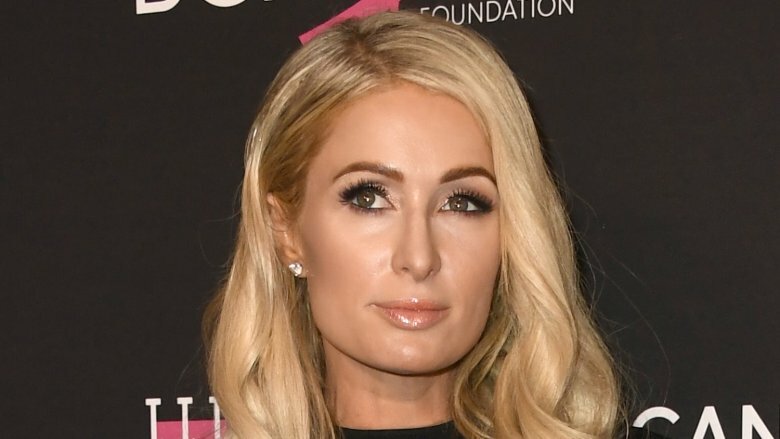 As Hilton wound up back in court, she pleaded, "I'm very sorry and from now on I'm going to pay complete attention to everything." The judge didn't budge, sentencing the socialite to 45 days in jail for violating her probation. Checking into L.A. County jail on June 3, 2007, Hilton's room was a far cry from the namesake hotels the heiress was used to. Per TMZ, the My New BFF star was allegedly "teetering on the brink," refusing to eat or sleep. After serving five days of her sentence, Hilton was released from prison and placed on house arrest for the remaining 40 days, per CNN. The sheriff's department spokesman, Steve Whitmore, explained that the celebutante was set free due, in part, to "medical considerations." However, after the city attorney's office "filed a petition asking that the sheriff's department be held in contempt" over the decision (per The New York Times), Hilton was ordered back into her cell. People noted that the star got yet another early release at the end of June, suffering from "health problems" again. Perhaps it had something to do with the prison food? Kim taking photos of herself in a Kardashian-crammed car while her sister Khloe was being shipped off to jail is a fan-favorite scene from Keeping Up with the Kardashians. So, what exactly happened? Let us refresh your memory. The youngest Kardashian sister was arrested for a DUI in March of 2007, and given a sentence of three years probation. According to People, after she failed to complete her "roadside cleanup duty and enroll in an alcohol education class," she was sentenced to 30 days in jail on July 3, 2007. Per People, Kardashian checked in mid-July — getting released the same day due to "overcrowding." Although she spent less than three hours in prison, the reality TV star told Ryan Seacrest on his radio show (via People) that the experience was "harrowing." She went on to dish that during the time, there was a bomb threat. "They put me in solitary confinement and the warden came down to talk to me and said, 'You're the one causing all the problems here. … There are all these bomb threats, and we think they're because of you.'" 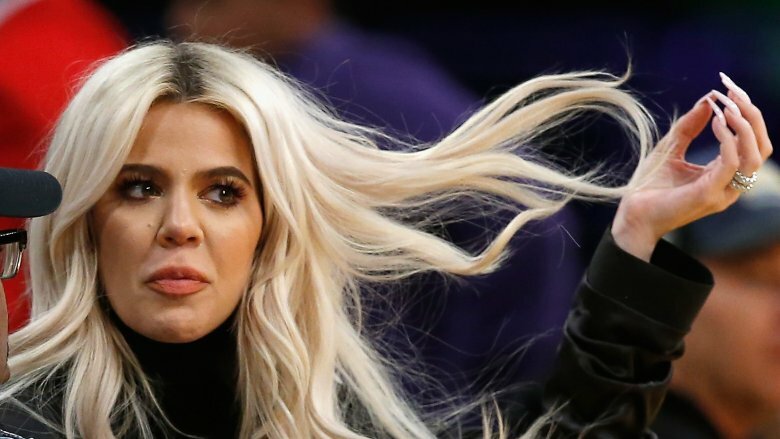 Although People noted that she was released under the LA County Sheriff's Department's "early-release policy for nonviolent offenders due to overcrowding," Kardashian believed it was also because she "posed a threat to the rest of the prison population," — proving that her notoriety helped her whether she intended it to or not. Who would have thought that rapidly egging someone's house could be a felony? 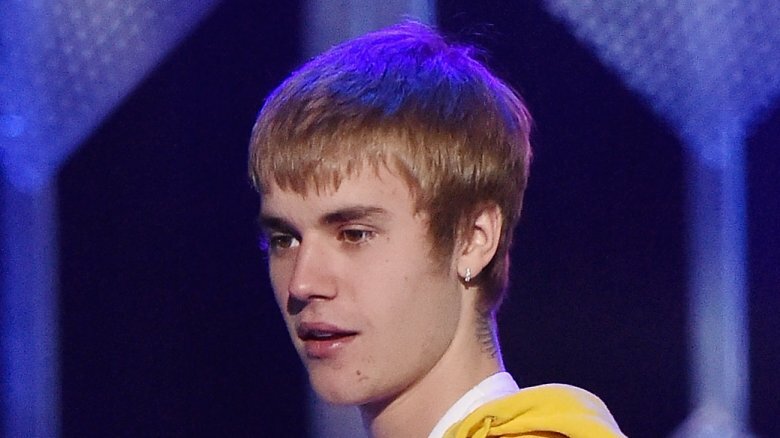 Justin Bieber found out in 2014 when he allegedly trespassed on his neighbor's property and pelted it with "no less than 20 eggs," per TMZ. The tab obtained an exclusive video from the victim, where you can allegedly hear the star yelling, "F**k you! I got another one for you, actually!" 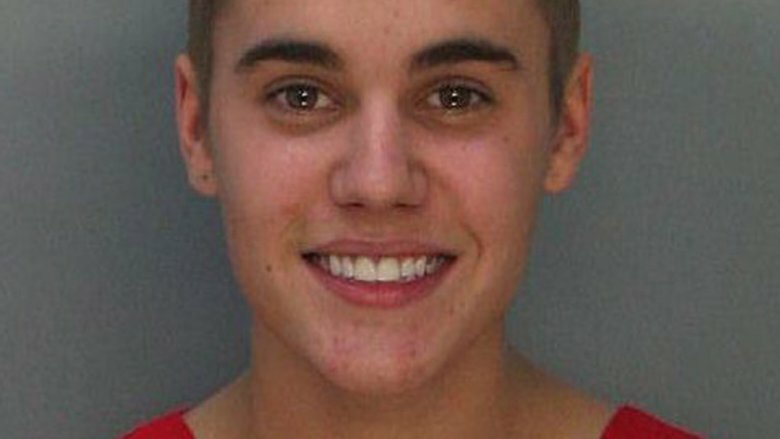 It turns out, that since the damages exceeded $400, Bieber could have been charged with a felony instead of a misdemeanor. So, how did Biebs' avoid a fate as foul as the eggs in question? Some serious legal wrangling ensued, as the L.A. County District Attorney's office took time to consider the LA County Sheriff's Department recommendation of a felony vandalism charge (per CNN). In the end, Bieber lucked out. Pleading no contest to misdemeanor vandalism, he was placed him on two years probation, 5 days of labor, and anger management classes, according to TMZ. While we assume the "Sorry" crooner wasn't apologetic, he was ordered to pay his neighbor $80,900 — the amount of the damages. As the prosecution noted, the house needed to be replastered — certainly costly as it was "very expensive Venetian plaster." Finally, Biebs was ordered to stay 100 yards away from the victim, which proved to be easy as he had already snagged a new condo. Per TMZ, almost immediately the new neighbors were already complaining of "excessive noise and marijuana." Jay-Z had a bit of a hard-knock life back in December 1999 when he was arrested for stabbing record executive Lance Rivera during a party at the Kit Kat Klub in Manhattan. Witnesses told the New York Post that the rapper walked up to Rivera, exclaiming, "Lance, you broke my heart," before proceeding to stab him with a knife in the back and stomach. Jay-Z eventually turned himself into the police. Meanwhile, his lawyer denied his client's involvement in the incident, claiming, "It's out of his nature to do a thing like this." What supposedly caused the scuffle? According to E! News, Hova accused the exec of bootlegging his album, Vol. 3… Life and Times of S. Carter. Naturally, the star did what any celeb tends to do in his situation — throw money at the problem to make it go away. 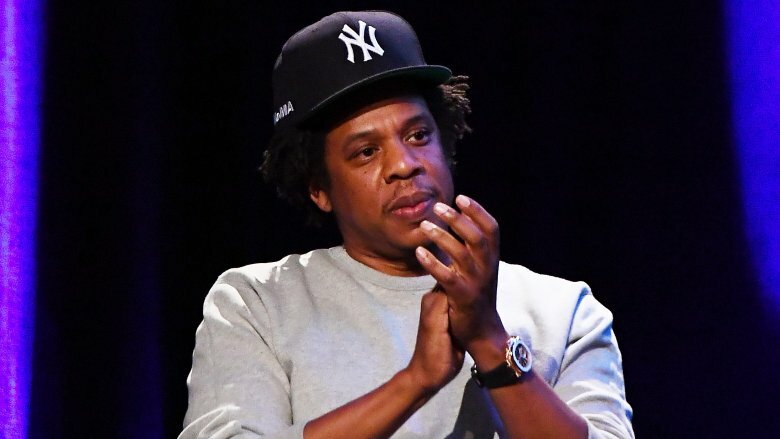 As reported by Rolling Stone, Jay-Z reportedly paid Rivera between $500,000 and $1 million to settle out of court two years after the attack. According to court documents obtained by E! News, Rivera incredulously informed prosecutors that he would "testify in a way that would help 'his friend.'" Rolling Stone additionally reported that along with settling the incident with Rivera, Jay-Z also changed his initial plea from not guilty to guilty, striking a deal to ensure his potential 15-year sentence got reduced to three years probation. 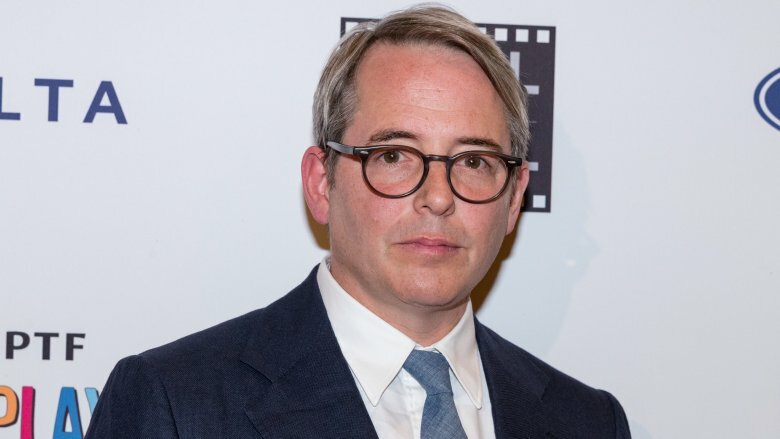 In 1987, a year after the massive success of Ferris Bueller's Day Off, on-screen brother-sister duo turned-real-life couple Matthew Broderick and Jennifer Grey were vacationing near Belfast, Ireland, when they collided with another car after an afternoon downpour. According to People, Broderick was driving around 3 o'clock in the afternoon when he pulled into a gas station and asked an off-duty policeman for directions. The officer decided to follow him for a few miles and later on noted that "he wasn't going fast … less than 40 mph." Several miles later, the actor's car collided head-on with another car driven by Anna Gallagher and her mother, Margaret Doherty. They were pronounced dead on arrival at the hospital. Meanwhile, Broderick was rushed to the hospital with a "badly broken leg," while Grey only suffered minor injuries. With his trial scheduled in Ireland, the actor "was charged with causing death by dangerous driving and faced up to five years behind bars", per the New York Post. Surprisingly, he was only ever "convicted of the lesser charge of careless driving and fined just $175," which members of the deceased's family called "a travesty of justice." While the victims' family has forgiven Broderick since the accident, the star still has grief over that fateful day. As he told Best (via New York Post), "It was extremely difficult coming to grips with what happened." The mid-2000s were a time when celebrity DUIs were the norm. 2007 saw Lindsay Lohan in jail for 84 minutes after she pleaded guilty to "drunken driving and cocaine-possession," per Reuters. Besides spending minimal time behind bars, the troubled actress was also "sentenced to 10 days of community service, three years probation and 18 months of an alcohol-education program." Fast forward to 2010, when the starlet was hit with the truth that she'd be a jail bird again. As ABC News reported, Lohan was charged with violating her probation for failing to attend her alcohol education classes. As the judge read the verdict of 90 days in jail and 90 days in rehab, the Mean Girls star sobbed theatrically. Lucky for Lohan, the tears were for naught, as she only served 14 days out of her sentence. Per The Guardian, the actress was released due to "overcrowding" and "good behavior." While prison officials said she was "treated like any other inmate in her classification," other inmates dished to Daily News about rumors of her "special treatment." 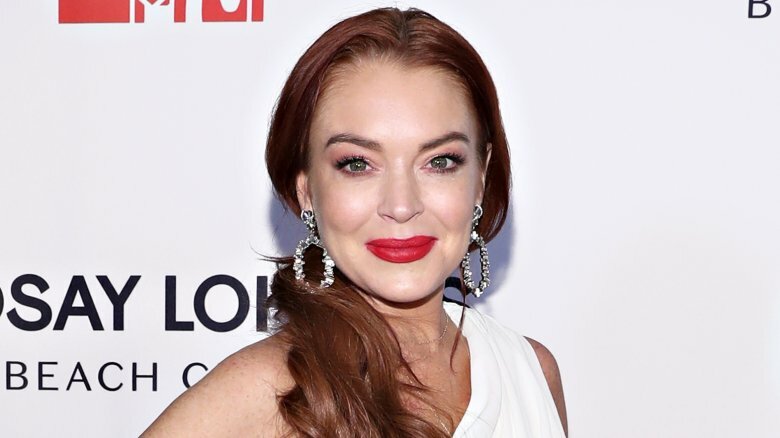 Debra Sickels, another inmate, noted that Lohan had a special room with "a regular hospital bed, a TV and a dresser for her new clothes and socks." If that wasn't enough, others revealed the celeb was "paying for special food and new clothes … and access to a private phone." Granted, Lohan was no violent offender, but that doesn't exactly sound like hard time. It's no secret that Naomi Campbell has a bit of a temper. According to Fox News' breakdown of her "bad behavior," her first altercation with the law was in 1998, when the supermodel was accused of assaulting her assistant, Georgina Galanis. According to BBC, Galanis filed assault charges, claiming Campbell "hit her over the head with a telephone and also grabbed her neck and slammed her against a wall" at a Toronto hotel. The leggy beauty immediately shot down the claims, calling Galanis a "disgruntled employee." Campbell's spokesperson, Miranda Denoff, went on to explain to BBC that the model believed her former assistant was hoping to cash in after Campbell fired her, seeking "$2 million in compensation." Two years after the alleged attack, Campbell struck a deal with Canadian prosecutors. According to the New York Post, the model admitted to hitting her assistant in exchange for receiving no jail time or criminal record. What's interesting to note is what the judge said of the model, "She has learned her lesson and demonstrated her remorse. I'm convinced through counseling and through her previous appearances in court, she understands the seriousness of the situation." Perhaps the judge let Campbell off a bit too easy, considering the model found herself in ten other alleged anger-related incidents in just a seven-year timespan, some of which involved more phones and former employees (per Fox News). Alec Baldwin sure has no problem making it clear when he doesn't get his way. In May 2014, the actor was handcuffed by a police officer in New York, with In Touch getting the exclusive details. As an insider mentioned, "he was riding his bike the wrong way and didn't have ID on him." While one witness claimed the 30 Rock star was "calm and quiet," another one noted he "went ballistic on the cops." Turns out, he certainly wasn't soft-spoken, as the actor allegedly got cuffed for disorderly conduct. 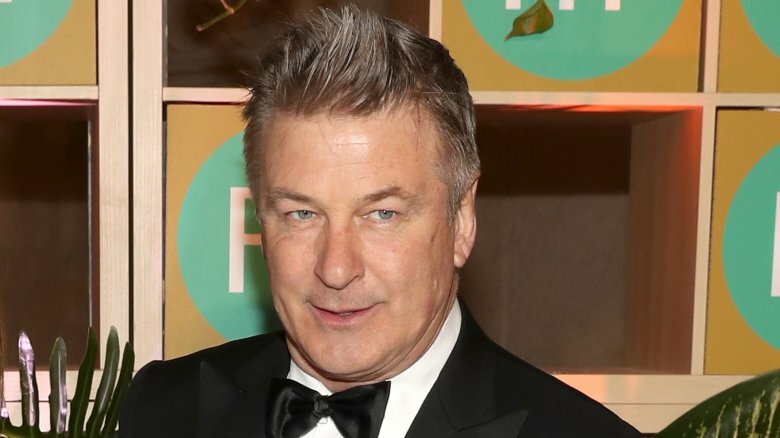 While he waited for his court date, Baldwin aired his grievances on Twitter. First, he called out the officer who arrested him, then he decided to share some harsh words about the city he calls his home. Finally, in May, the celeb got a stroke of luck when he showed up in court to a judge that found his case more amusing than anything. Per Daily News, Judge John DeLury playfully "bantered" with the actor, admitting to being a fan of Baldwin's work, and asking him if he could "stay out of trouble." While Baldwin tried three times to simply pay a fine, DeLury said he just wanted "an apology." When neither happened, the judge told Baldwin to "be a good boy from now on." In a seemingly final rebellious revolt, the iconic actor left the courtroom by allegedly jaywalking into his waiting car and driving off. Claudine Longet, a French-pop singer, was once famous for her marriage to wholesome crooner, Andy Williams. Soon enough, however, she'd achieve infamy in a different way — through homicide. According to the Denver Post, the newly-single Longet met her next beau, Olympic skier Vladimir Sabich in 1972, at an Aspen restaurant. Years after becoming a couple, Longet moved herself and her three children into Sabich's chalet, per People. As insiders dished to the mag, the couple lived "pretty fast and loose," fitting into Aspen's "racier" image, but also having "violent fights in public." It all ended with a gunshot in March of 1976. As she told police at the time, Longet claimed Sabich was "showing her how to handle [a] gun when it accidentally discharged." As the sensational trial went on, the prosecution explained how "the position of the body" and "distance from which the shot was fired" didn't add up to the singer's defense (via GQ). While many agreed, Longet was only convicted on the misdemeanor charge of "criminally negligent homicide," according to People. Her sentence? 30 days in Aspen Pitkin County Jail, "a term to commence on a date of her own choosing." She was even allowed to repaint her "drab" cell in "lively primary colors." Remarkably, Longet stayed in Aspen – although she's lived like a recluse. As GQ perfectly put it, she went from "national treasure" to "pariah," now part of history's most shocking celebrity murder trials.